The Cowee ta Long Term Ecological Research (LTER) Program is based on a collaborative agreement between the University of Georgia Research Foundation in Athens, Georgia, and the USDA Forest Service Coweeta Hydrologic Laboratory in Macon County, North Carolina. The Laboratory was established in 1934 and is world-renowned for its research in forest hydrology. In 1968, the long-term emphasis on hydrology at the Laboratory was expanded to include factors regulating the composition,organic matter production and turnover, and biogeochemistry of forest and stream ecosystems. The agreement between University of Georgia and the Coweeta Hydrologic Laboratory, was first signed in 1968 and has been the basis for their partnership in national and international research programs for over 45 years. These have included the International Biological Program, the TIE Experimental Ecological Reserves Program, the International Hydrologic Decade, and the UNESCO Man and the Biosphere Program. Most significant, however, has been collaboration on the Coweeta LTER. 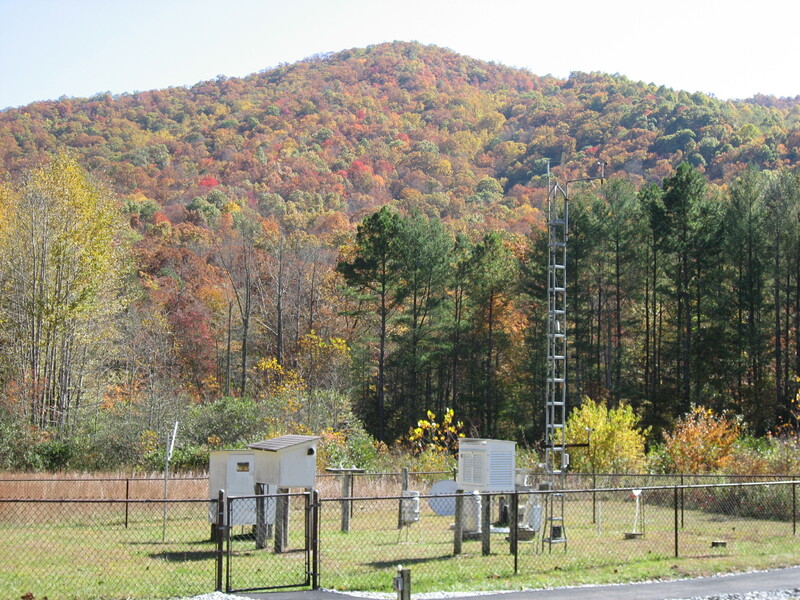 First funded in 1980 and one of six original sites in the US LTER Network, Coweeta LTER field operations are based out of the Coweeta Hydrologic Laboratory. Since 1994, research has evolved and expanded to include fundamental ecological and socially relevant research in the southern Appalachian region. 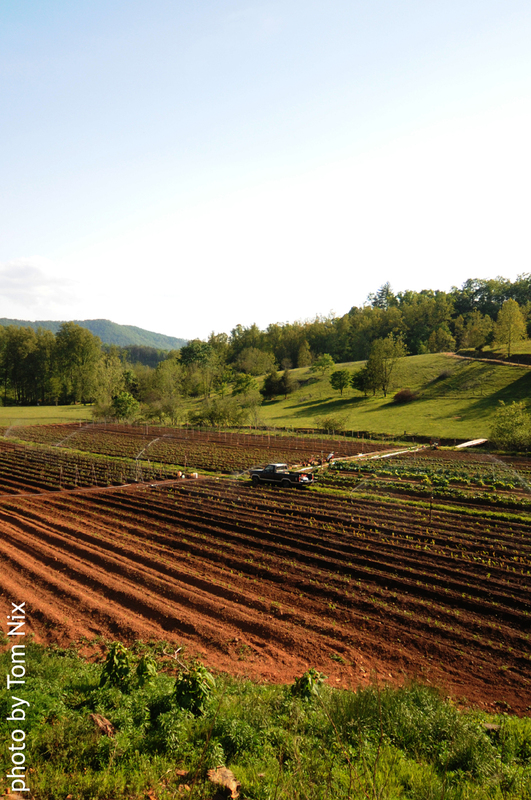 The Coweeta LTER Program currently examines how multi-scale processes associated with climate and land-use change, as well as the interaction between the two, affect the ecosystem services of water quantity, water quality, and biodiversity. Southern Appalachian forests are among the most biodiverse and productive in the temperate world, but they are also experiencing some of the most rapid exurban growth in the continental U.S. Coweeta LTER research is organized to be place-based, cross-scale, long-term, and comparative, reflecting how the program has adapted ecological theory and practice to the present and future needs of society in the southeastern United States. Like the other members of the LTER Network, Coweeta LTER seeks through its research activities to promote environmental science literacy, engage with decision makers, and facilitate the use of cyber infrastructure. The Coweeta LTER Schoolyard program partners with local middle schools and promotes, through activities and resources, a student-centered approach to science education. The Coweeta Listening Project seeks to open and facilitate communication between Coweeta LTER researchers, local residents, environmental organizations, and policy makers in the project area. 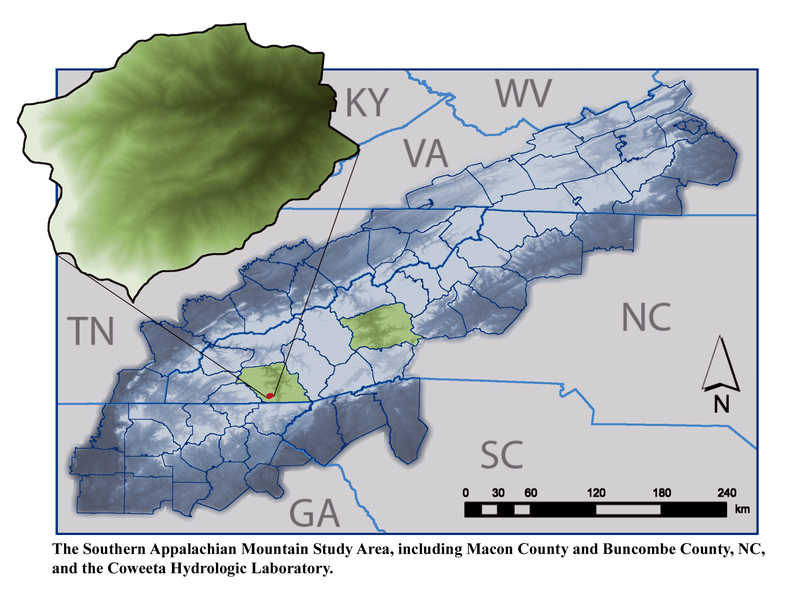 The Coweeta LTER Program depends on coordinated research of high-to-low elevation mountainous and valley landscapes within watersheds of varying sizes. To assure a thorough examination of how land-use decisions and climate change affect ecosystem services at multiple scales, the program integrates disciplinary approaches from anthropology, ecology, economics, forestry, and geography. Research activities are organized in the current funding cycle (2008-2014) into five thematic areas to achieve a regional understanding of the socio-ecological processes in the southern Appalachian Mountains. 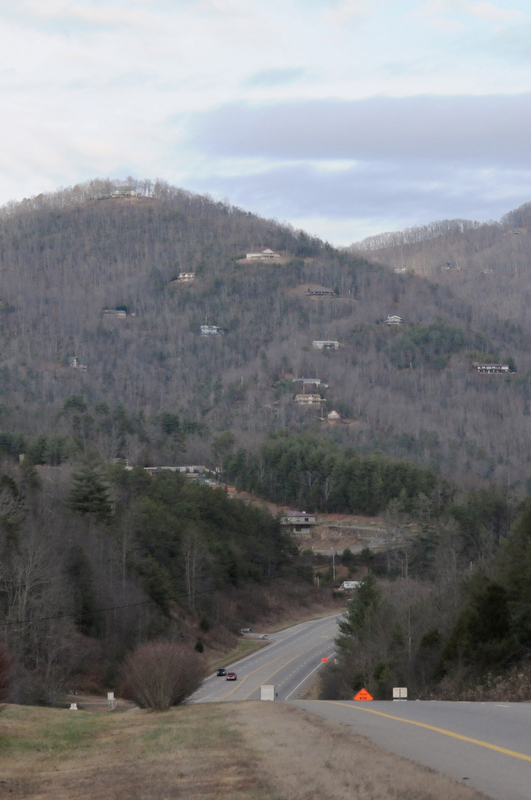 Exurbanization and in-migration to southern Appalachia play an important role in the relationship between ecosystem services, which are affected by the accumulation of many individual landowners’ decisions, and broad-scale public land management decisions. In this context, Coweeta LTER researchers address the question of what links private and public land-use decisions and ecosystem services. The objective is to scale parcel-level decision-making to the region by comparing individual awareness of the ecological consequences of land-use decisions over time and across populations in response to a local-to-regional regulatory overlay. 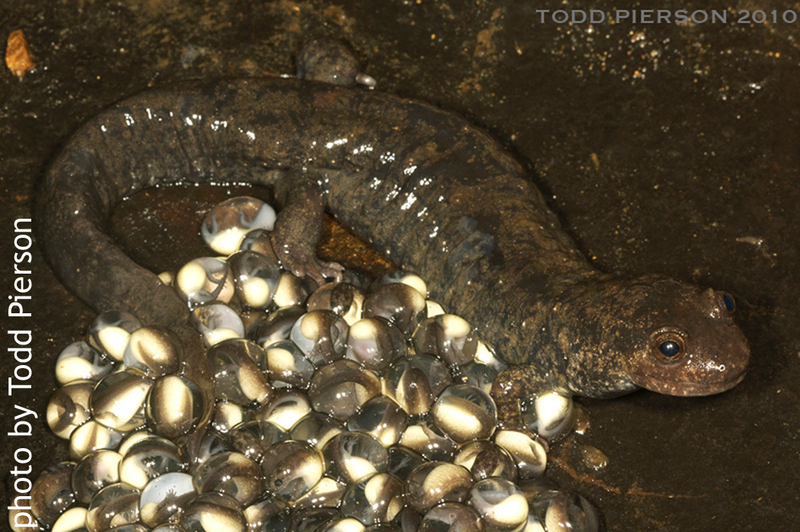 Exurbanization creates unique fluxes in stream habitats and biota due to changes in nutrient and carbon availability. 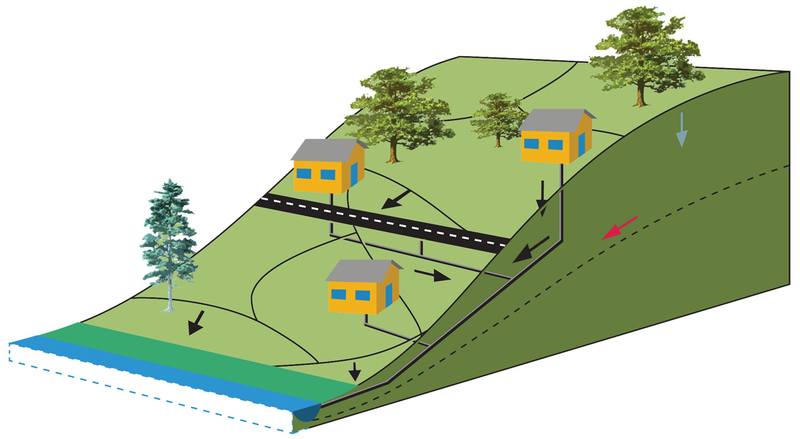 Coweeta LTER researchers focus on how differences in riparian and hillslope land cover, soils, and infrastructure alter flowpath connectivity from headwater to river through the stream network, and how these factors affect water quality and quantity. The objective is to determine the magnitude and timing of sediment and nitrogen transport, retention, and transformation associated with land-use intensity. As the climate in southern Appalachia changes, the distribution and behavior of mesophytic plants and animals are altered and ecosystem function is likely to change. Coweeta LTER research seeks to understand how climate change and development affect biodiversity at local to regional scales, and what the implications of this change are for ecosystem processes. The objectives include spatially and temporally replicated monitoring of forest biotic communities along representative gradients, as well as experimental manipulations of focal species to estimate responses to climate variation and land-use intensity. Coweeta LTER researchers have augmented the 80+ year record of climate and hydrology from the Coweeta Hydrologic Laboratory with social, economic, and land-use records for the last 200+ years and paleoenvironmental records for the last 10,000 years. With these records and the reconstructions based on them, Coweeta LTER researchers are beginning to resolve the relative magnitude of climatic-versus-human-induced change and identify major turning points in the frequency of disturbance across the Holocene epoch in southern Appalachia. Coweeta LTER researchers are integrating evidence about hydrological, ecological, and human social processes to understand the dynamics of key ecosystem services from small catchments to regional watersheds. Activities include instrumenting hillslopes in the experimental forest and on private land combined with modeling. 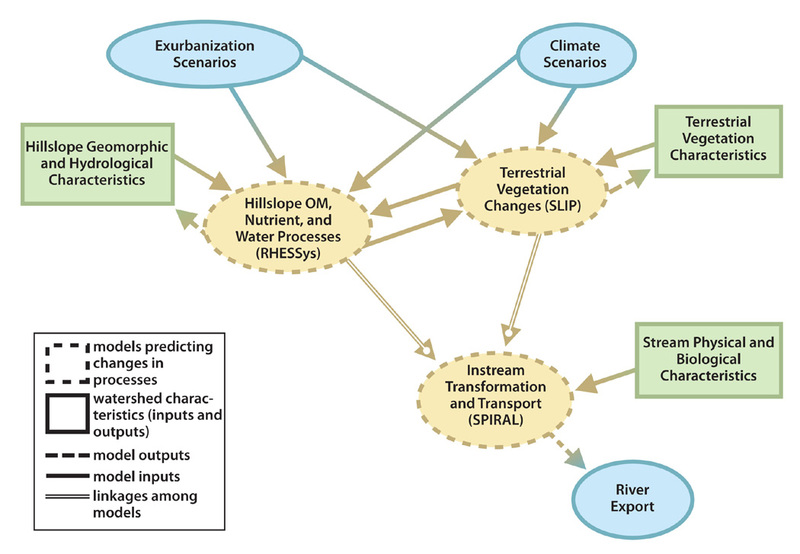 The objective is to link the spatial distribution and feedbacks between terrestrial cycling, forest community dynamics, and aquatic ecosystem metabolism.